Buttero has arrived to Vaatturiliike Sauma. 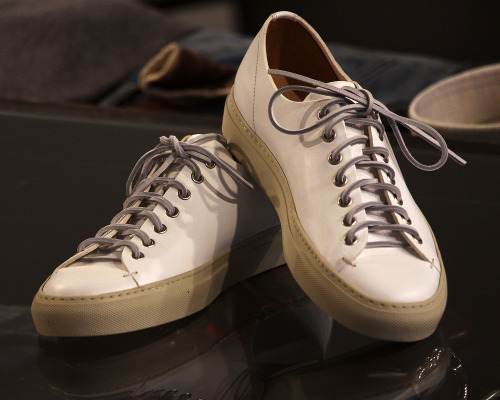 At the moment we stock the Leather Tanino Low in both white (pictured above) and chocolate leather. “Founded in 1974 by Mauro Sani, who set out to make the best riding boots in the world, Buttero remains owned and run by the Sani family. Buttero’s soul – and sole – is bound to Tuscany. The footwear has and always will be made in this enchanted region of Italy. Buttero builds shoes with a passion for tradition, creativity and authenticity: the Buttero mark is a symbol of quality.